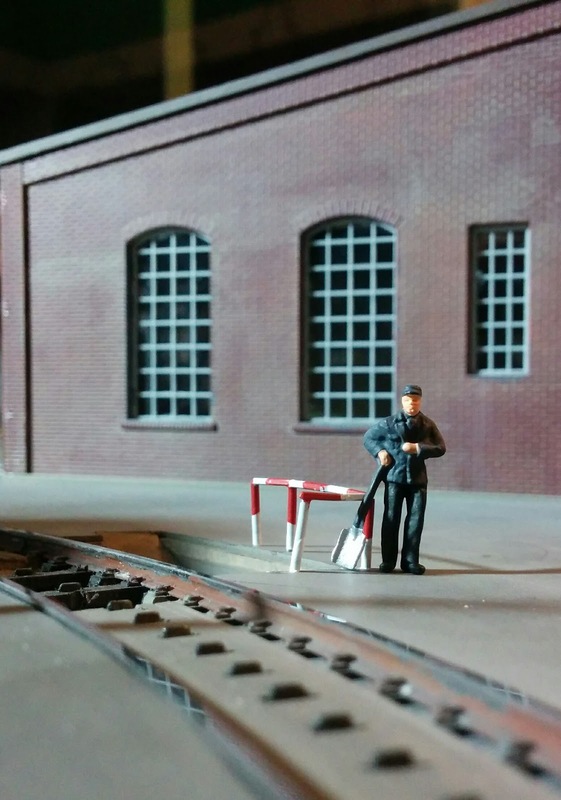 Lostentry - Welztalbahn, Model Railroading, and more: Safety First! The cinder pit ("Schlackengrube") got a safety railing today. Worker Emil Hermann approves. The railing is a left-over from the Auhagen telephone boxes kit. I bent it to shape, added some paint, and glued it next to the pit. ... Then I tested whether it is too close to the track. It was, of course. ... Now there are two dimples where the glue set up first. One of them is barely visible to the left of the white leg.